There are countless methods and modalities of healing in the world. These methods range in age and application, and have a wider variety of capabilities than any one person may presently know. Up until this point, some may still believe that the traditional doctor is the only way in which a person can heal from their ailments. However, this could not be further from the truth. The existence of energy is an absolute in the universe. More and more, science is discovering that energy is not a thing which needs to be produced through extensive work or chemical reactions alone. This energy is free and available to all of us, given we have the skill and will to harness and utilize it. This universal energy can either be used by artificial devices to produce electricity, or it can be used by the human body's natural mechanisms to produce and maintain homeostasis. Over the millennia, various civilizations from around the world have developed disciplines in healing and wellness which use this energy in ways similar to that of nature. These methods allow both the practitioner and the subject to benefit from this natural energy in numerous ways. There have been very few people I have met in life who are able to follow me completely while discussing matters of energy and consciousness. This is not to toot my own horn, but merely to highlight one particular friend of mine. A little over a year ago, I had the privilege of meeting someone whom I now consider a good friend. This woman has a surprising amount of knowledge and skill on the subject of natural energy and consciousness. Her name is Sollena, and she has one of the most astounding skills sets of healing and intuitive insight that I have ever seen. It was her natural ability that made me curious to learn more about the different modalities of healing than I have known previously. This article is a short exploration of those studies. We start out with the modality of Usui Reiki. Reiki is a skill with which I am fairly familiar, though I still consider myself a student of the practice. I am attuned to this energy and certified in Reiki. However, there is still much for me to learn. The methods and techniques could either be considered complex or simple depending upon an individual's intended application. It also depends upon the level at which the practitioner desires to apply this healing technique to any given situation. The practice of Reiki ("reiki" meaning universal life energy) is rich in history and versatile in applicability. This healing modality involves the transfer of healing reiki energy through touch, though it can be applied over distance as well. Anyone can learn this practice, but beforehand a healer must first be attuned to reiki energy. As they allow this energy to flow, their ability to channel reiki energy will gradually increase. 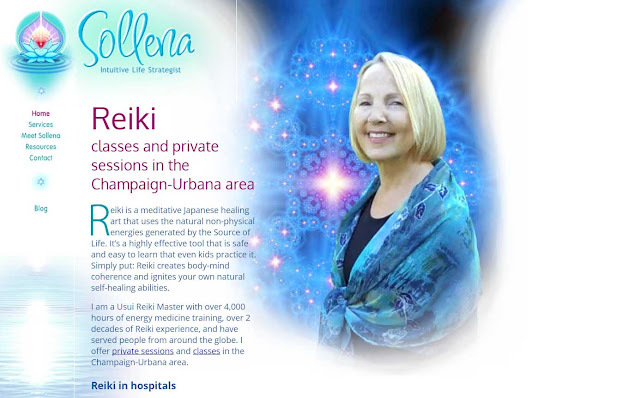 To give a brief history of the art of Usui Reiki, here is the Reiki Association. Usui Shiki Ryoho (the Usui System of Natural Healing) is a Japanese Healing Art. This form was founded in Japan and the basis of the practice is referred to as self healing/self treatment. A little over 100 years ago a Japanese man, Mikao Usui, began a personal search that ended with his having contact with the energy Reiki. His practice grew and eventually Reiki was introduced out of Japan via Hawaii in 1937 by Hawayo Takata Sensei. 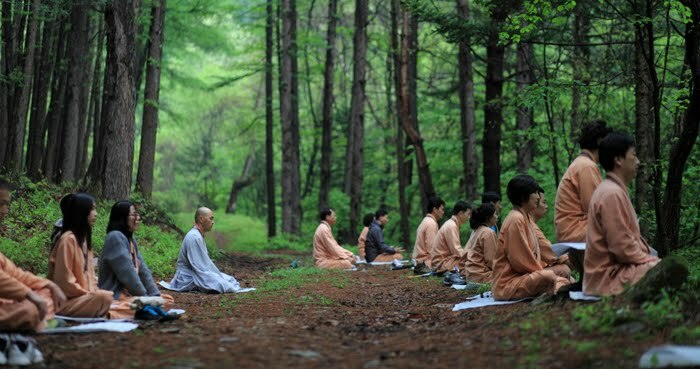 It is passed on from one person to another through a specific initiation, teachings and a defined form of practice. The Japanese word ‘reiki’ can be translated as ‘universal life energy’ and the Usui System is a way of working with reiki for healing of self and others. The word healing is used in the sense of regaining harmony and wholeness. Usui Shiki Ryoho addresses the whole person on the physical, emotional, mental and spiritual levels and those that we cannot identify at the present. Usui Shiki Ryoho has been defined by the present lineage bearer, Phyllis Lei Furumoto, as having four Aspects: healing practice, personal development, spiritual discipline and mystic order. The Aspects accompany a central core of practice and philosophy referred to as the Nine Elements. The combination of all the Elements and Aspects and their inter-relationships creates the system which has a proven, predictable capacity to take people along a profound path of healing, growth and spiritual deepening. If any part is changed or left out, the form is no longer recognized and is considered to be another form of Reiki practice. The importance and deeper meaning of the elements and aspects and the whole system is mainly beyond words and gradually unfolds through personal experience. The following is a brief outline. To my knowledge, reiki energy has its own independent frequency of operation. It is specific to the practice, though there are multiple energies which can assist the body's natural healing. During a session, a Reiki practitioner essentially becomes a channel to higher dimensions—passing energy from the higher planes to our own plane of existence. Due to the natural balance and frequency of these specific planes, the human body heals and functions more efficiently after a treatment. 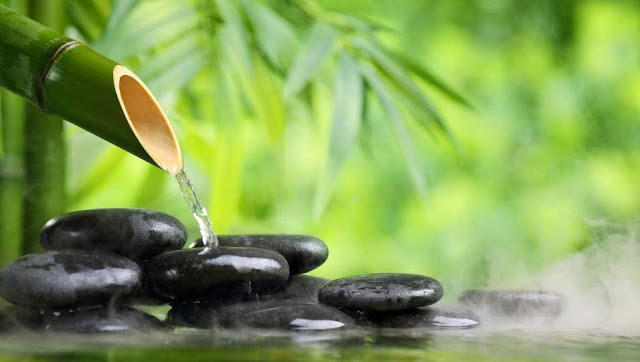 As time goes on a practitioner can develop more and more purity of channel for reiki energy. As the energy runs, it is possible for the numerous blockages a person typically accumulates in life, to be cleared both within the practitioner as well as the recipient. There are many different types of healing energy, but to my knowledge the Usui method is specific to itself. The next modality of healing that I studied was one I had previously heard of, but admittedly, I did not know much about it until now. This method is called polarity therapy, and though the name may be a bit cryptic, the method is easily understood. In our studies on energy we may have heard that the inner world of the human body has a way of mirroring the outer world, and vice versa. Our energetic state can either be observed in our life situations (whether difficult or carefree) or it can be seen in the ways in which our physical bodies function. Every ache, pain and ailment can be viewed as the result of some aspect of the energetic body that needs healing, and polarity therapy was developed to heal and resolve the outer world along with the inner self. For the details, we turn to PolarityTherapy.org. Polarity Therapy is a unique wellness practice that involves touch. It was developed by Dr. Randolph Stone, (1889-1981), an Osteopathic physician and Chiropractor with a passion for natural healing. Unlike massage or physical therapy, whose purpose is relaxation, or re-educating the body to align with gravity, the purpose of Polarity Therapy is personal transformation. It is realigning the body to be in harmony with the soul. This somatic therapy enables you to look at what you’re carrying in your body as a blueprint for your life. It’s said your body is a reflection of your thoughts, your beliefs, your emotions and experience. Polarity Therapy is a chance to release your buried treasures… to open up the obstructions, the blockages, the pain, the difficulties, the distortions in the body. It’s a chance for you to start to say, how is this a reflection of what’s happening in my life? And how can I bring resolution and freedom to my body, in order to bring resolution and freedom to my life? In addition to working with the body, the Practitioner supports you with verbal communication and reflective listening. You are guided into greater awareness, and have space to re-negotiate what you’re holding onto and what you can let go of. Additional resources for nutrition, exercises and lifestyle deepen the process of transformation if you choose to take advantage of them. Polarity Therapy is a truly holistic practice … it can work for anyone, in any state of health: it meets you where you are at, and inspires positive changes that are just right for you. Until I came across this information, I thought that the idea of the inner reflection of the outer world was merely a guessing game. I did not consider the subject a specific avenue of study. Yet here is one of many organizations which teaches and discusses this concept of interconnectedness. By my understanding, polarity therapy is a very personal experience and may come in as many forms as the number of people who practice it. This therapy has a way of getting to the deepest aspects of the self and the issues each of us have faced in the past, as well as those we face in the present. It would seem that if anyone were inclined to take the required journey into the self, there is nothing that could not be healed, given they had the proper guidance. Admittedly, this next healing method was new to me. It seems different from that which I have personally experienced. Though it does sound very similar to a similar natural energetic ability I learned about during martial arts training, I do not have the most personal knowledge on this subject. Consequently, I will let the professionals cover the details. Here is the Higher Balance website on the subject of RYSE healing. RYSE is an energy healing modality that is an extension of Polarity Therapy and offers a series of five different levels, with a deepening progression of healing. Each level guides your energy system toward your next level of healing and harmony. RYSE deeply clears your entire energy system, including the chakras, aura, ida and pingala, spiraling air pattern, inner male and inner female and more. RYSE is an energy healing modality that is an extension of Polarity Therapy. It deeply clears your entire energy system, including the chakras, aura, ida and pingala, spiraling air pattern, inner male and inner female and more. RYSE is a series of five healing sessions. The sessions must be done in order, and offer a progression of deep healing and evolutionary awakening. RYSE Level 1 clears the entire energy system: chakras, all layers of the aura, the ida and pingala, spiraling air patters, and the inner male and female energies. Male and female energies (or yin/yang; Shiva/Shakti) are merged for balance of both sets of qualities. RYSE Level 2 repeats all of Level 1, plus: eliminates the energy of expectations from others and yourself that are held in the upper back, neck and shoulders, freeing you to be all of who you are from our own highest truth and alignment. Also releases cellular memories that no longer serve you, including memories from your earliest years and past lives. There is a new freedom to walk in your truth. RYSE Level 3a clears sub-personalities – aspects of you that are challenging (shadows) and are in the way of your full expression. Also those aspects that strengthen you are brought to their fullest, highest expression. Sub-personalities also include that part of you knows how to continually keep your energy system clear; the part of you who knows how to access your vitality, the aspect of you who maintains joy. RYSE Level 3b Your life cycles are cleared, including energy from traumas: from your conception to your inner infant, toddler, child, teenager, young adult—all the way through to your inner elder and transition to Heaven. RYSE Level 4 evolves your energy system toward its fullest potential, and therefore supports your conscious evolution toward manifesting all of who you are and what you want to create. Also you receive an energetic initiation into your soul’s essential perfection. You can expect to be lifted away from limiting behaviors and patters so you can express more of who you really are, and who you want to become. From the new level of vibration RYSE provides, you manifest easily, life becomes more of an effortless flow, filled with east and joy, peace and inspiration. It is interesting to learn about the details and the breakdown of the self in these specific ways. It seems that different modalities phrase these concepts differently, but the overall idea is generally the same. The areas of the self which RYSE addresses are familiar to me, though I am not as familiar with the specific system of thought which RYSE employs. The RYSE system seems to employ the natural energy of every human being (and all life) in a way which enables natural healing to occur. It would makes sense that if our energetic state is connected to our physical being and our physical life experience, then healing these energetic elements would heal the other aspects of our lives. This natural energy is familiar to me in both a healing sense and in the context of martial arts. Early on, I was taught in martial arts that the energy we were using—ki, or chi—was the body's natural life essence. I later learned that it was this energetic essence which we were training to use in various ways. We were given lessons on the way which this energy was used in our everyday lives, and that when faced with danger or an attack, it was actually this ki energy that caused us to react in order to avoid injury. This might result in anything from a cough to an actual flinch when faced with physical conflict. It was our goal to learn to flinch forward in a sense as a means of fending off an assailant. In this way we actively trained our defensive reflexes to work to our advantage. This was a very different application of natural energy, but the energetic aspect seems to relate quite well. Martial arts training could be considered a means of purification as well as an adaptive means of energy utilization. RYSE healing is more of an all-around cleansing. The discipline of maintaining health takes many forms. RYSE energy seems to be a very interesting aspect of this application of self care and care for others. It is my understanding that the practice of Reiki comes in many different forms. These can relate to the original practice of Reiki, but differ in their own unique ways. Depending upon the discipline and clarity of the practitioner, this original form can be adapted to meet a multitude of needs. Similar to martial arts, any art can be adapted, distilled and used to create something completely new and unheard-of. Just as Bruce Lee developed the art of Jeet Kune Do, the healing arts can be distilled, adapted, and used to meet virtually any need, granted the necessary skill has been developed. This is precisely what my friend Sollena has done in her development of the art of Heart Source Reiki. I would tell you more about this specific are, but I think Sollena would be the best one to explain the details. 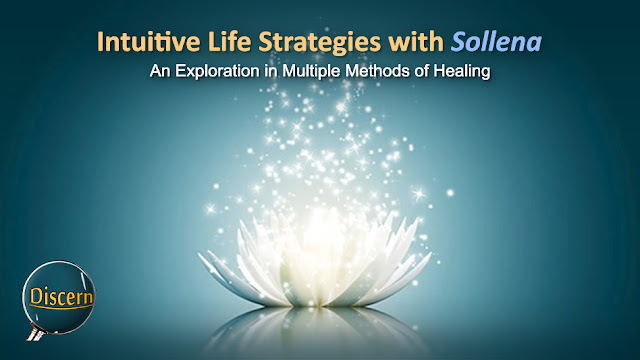 Each of the above modalities of healing are specialties of Sollena's, and she takes great care to give all those she works with the best chance at health possible. There are many intuitives and healers in the world, but I have found very few who are able to teach at the level of skill which Sollena does. She also takes care to instill a sense of self-honor and self-empowerment within everyone she assists. This is especially important in our current times, in which learning the value of self-reliance and service to others are vital tools for improving our world. Sollena has had an interesting year thus far. Right now she is living in a somewhat difficult situation while taking care of her elderly mother. Things are going okay for her, but her situation could be much better. I won't get into too much detail so as to respect her privacy, but I wanted to give her this article so that her situation can improve. Due to her move across the country, she is starting fresh with regard to her client base. So the more clients she has the better. Sollena does phone sessions with her clients as well as in-person sessions. If you happen to live across the country from her, or even on the other side of the planet, distance healing is no problem for her. Right now she is living near the east coast, so there may be a chance to meet her in person for those who live in the state of New York. She is offering a few free services as a bonus for those interested in booking a session with her. For a few further details, here is an excerpt from Sollena's website. 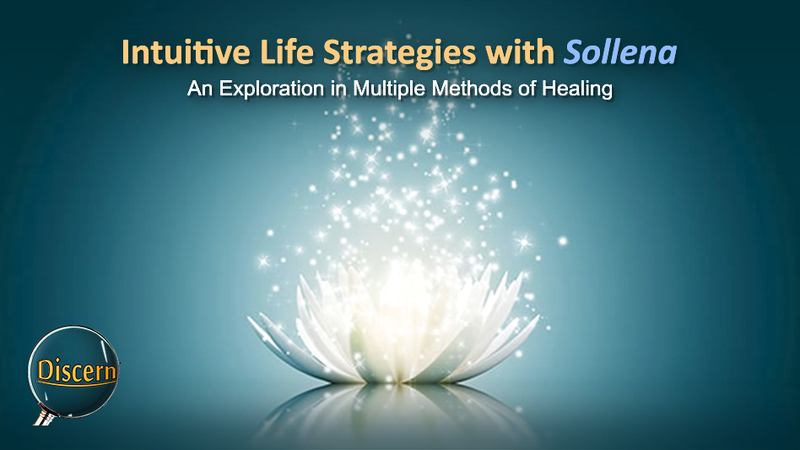 Sollena is known for her uncanny intuitive abilities that will ignite your strength and further empower your life. She uses creative tools and unique modalities blended in a synergistic fashion to co-create new possibilities with insight, humor, and joy. The specialized style of energy healing shifts core belief patterns that will ultimately activate well-being. There is more that I could say, but I recommend that you hear it from the woman herself. If you are in need of higher knowledge and have the initiative to learn what you may have missed in your search for truth, an extra intuitive eye might be just what you need.